ELK GARDEN, W.Va. —It’s amazing what a little competition will do. 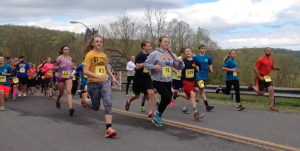 In 2015, 11-year-old Colby Mallery placed sixth in the fourth annual Conquer the Dam 5K run at Jennings-Randolph Lake in Elk Garden, W.Va., in a time of 23 minutes and 4.4 seconds. His closest competitor was 21.2 seconds behind. Runners launch from the start line at the beginning of the 5th annual Conquer the Dam 5K at Jennings-Randolph Lake on Saturday in Elk Garden, W.Va.
On Saturday in the fifth annual contest, the Mount Savage, Md., resident had the hot breath of 30-year-old David Redman, of Keyser, W.Va., on his shoulder as the two navigated the second half of the out-and-back course — and arguably the most difficult portion of the uphill section. As the two were some 100 meters from the finish line, Redman gestured to Mallery and directed his eyes to the finish line: There it is, Redman said. The seventh-grader from Calvary Christian Academy knew what to do. Mallery bolted, moving up five spots from his 2015 finish and shaving off nearly two full minutes to stop the clock this year in 21:22.7 and first among an event-record field of 140 official finishers. Redman was second in 21:23.7 while Kevin Cuozzo, 41, of McHenry, Md., earned third place overall and men’s masters champion in 21:58.3. McHenry resident Jen Sober, 43, led the women’s field with a time of 22:32, good for fourth-place overall. 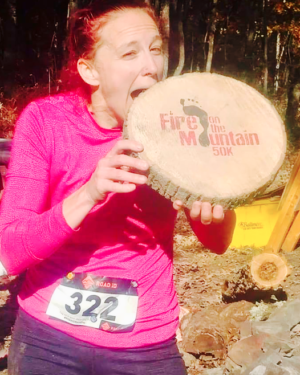 Krystal Stair, 29, of Cumberland, Md., finished second for the second consecutive year. This time she finished in 25:00.7, nearly a full minute ahead of her 2015 performance (26:00.2). 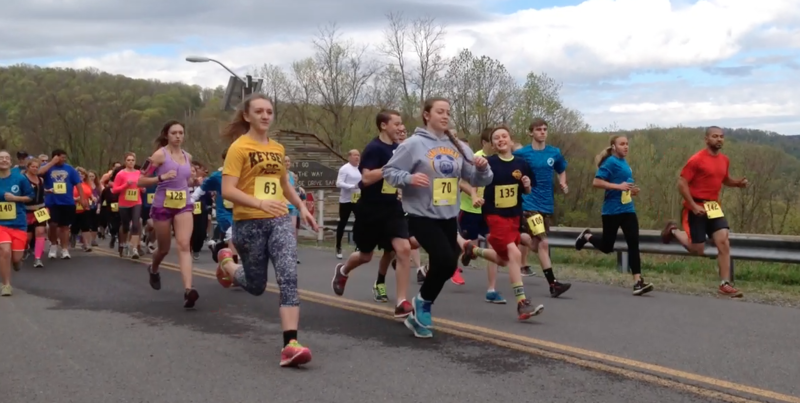 Faith Butts, 18, of Keyser, W.Va., edged Brenna Earnest, 42, also of Keyser, for third place by five seconds (26:24.2 to 26:29.2, respectively). The event experienced a record-high this year in the number of pre-registered runners (113), registered runners (154) and official finishers (141). Proceeds from this event, directed by Scott Mallery and Lou Kitzmiller, support the Meals on Wheels program of Mineral County.